Because you may not need those nutrients or those nutrients in those doses and while most of the time the body will simply excrete what it doesn’t need, some nutrients can, again, interfere with the absorption of nutrients that you do need. There are specific formulations that support specific ages, genders or that work in conjunction with something specific going on in your body such as pregnancy. If you are an athlete, are getting up in years, pregnant, or have any other special needs, consider a formula that supports those needs. Taking special formulations can be a great idea IF, you are buying them from a reputable source. Fish oil for example, is prone to mercury contamination. Its purity must be assured or its benefits are negligible. What other supplements should you take? As discussed above, that depends on your needs. I would add extra calcium and magnesium, digestive enzymes, probiotics and extra fiber. Almost everyone can benefit from these. 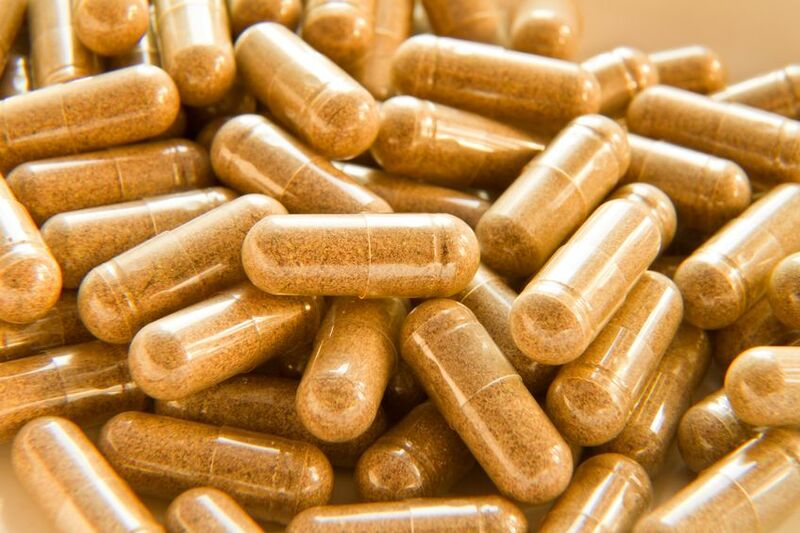 Always opt for a capsule as opposed to a tablet. Tablets are hard to digest and if you look closely at your poop (as you’ve been known to do), don’t be surprised if you see the entire tablet, intact, staring back at you. So you decide that you definitely would benefit from beginning a regimen of a few “core” supplements. You go into your neighborhood health food store and tell the guy behind the counter that you need a good quality multi-vitamin/mineral complex, essential fatty acids (refers to fish oils), a probiotic, a calcium/magnesium combo, and some digestive enzymes. You ask him to recommend a “good” one of each. He begins to give you his opinion and you are impressed with how knowledgeable he is-and he very well might be. But most, (not all) health food stores carry only over-the-counter brands of nutritional supplements. These, as well as supplements sold over the internet, through multi-level marketing companies, and from other random sources, are all considered “over-the-counter” supplements. Professional lines rely on the latest scientific research for their formulations. They are formulated to be more potent containing meaningful quantities and ratios of therapeutic ingredients and in some cases, go beyond even the most stringent guidelines by excluding the use of fillers, preservatives, binders and lubricants. (i.e. magnesium stearate that helps capsules move through machines faster.) These proprietary manufacturing processes combine to create a capsule with superior absorption. While there are some reputable over-the-counter lines (Jarrow comes to mind), I believe there is no comparison in terms of quality, purity and effectiveness to a professional line. Some over-the-counter brands contain only minute amounts of the actual active ingredient listed on the product’s label. The rest of the capsule (or tablet) is filler (i.e. cornstarch.) Since discovering professional brands several years ago, I will never go back to over-the-counter supplements, even though they are less expensive. To take or not to take? That is the question…if nothing else, basic nutritional supplements act as an insurance policy to protect our health against environmental toxins, the sorry state of our food supply, and the stresses and strains of modern daily life. Will they prevent cancer? Stop aging in its tracks? Facilitate rapid fat loss? While I wouldn’t say “yes,” to those questions, I wouldn’t quite say “no” either. Biochemistry is a fascinating and ever-evolving science plus; every body is different. What works for one person may not have any effect on another and vice versa. Find a qualified health care practitioner that, in analyzing your unique metabolic needs, can recommend supplements that heal your body, optimize your present good health, or give you an edge in your athletic endeavors. *The information printed here is provided for educational purposes only and is not intended to treat, prescribe, cure, or prevent any disease or condition and should not be construed as personal medical advice. Check with your healthcare professional before beginning any supplement regimen.